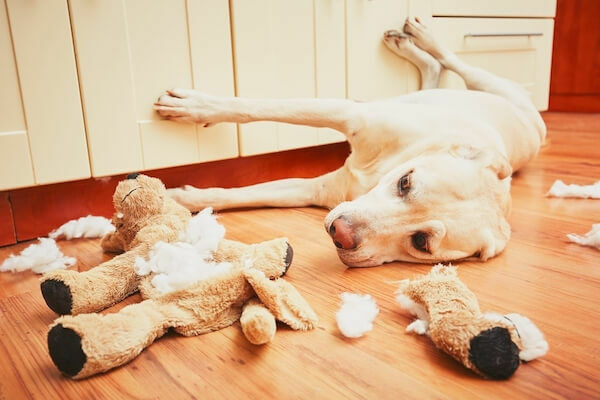 If you have ever left your dog at home and returned to find everything from books to furniture chewed up, you may already be all too familiar with separation anxiety in dogs. Some of these signs could just be an indication that your dog needs more house training. 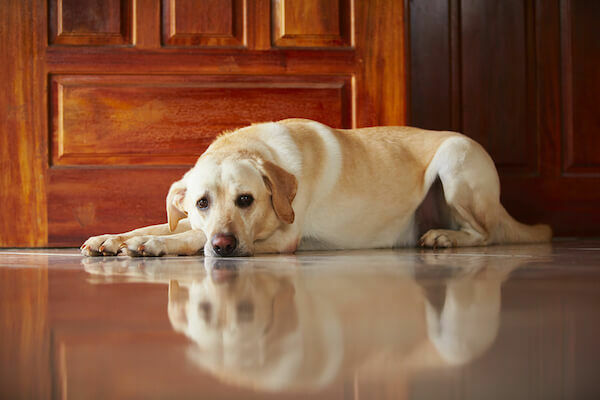 It is possible that the dog has separation anxiety if any of these signs are accompanied by drooling, distress, or anxiety before the owner leaves the home. Close observation of the dog is the best way to recognize symptoms. The dog may anxiously follow the owner closely around the house and bark or howl to try to dissuade the owner from leaving. Upon the owner’s return, the dog may also be wet from excessive salivation or drinking. In order to treat ongoing signs and symptoms, it is important to recognize any and all symptoms and to consider any possible causes of the anxiety. What are the causes of separation anxiety? There is no decisive reason that a dog develops separation anxiety. Rather, a variety of factors contribute to the development of the condition. One of the most common factors is whether or not the dog has experienced a traumatic event. Traumatic events can include anything from being in a shelter to experiencing an attack or being abused by another animal or a human. Other causes may be changes of residence, major changes to the dog’s schedule, or the sudden absence of a family member. Leaving a dog alone that is used to being in the company of humans for extended periods of time, or even just leaving a dog alone for the first time can be enough to trigger the disorder. Not making a big deal about leaving or returning is a popular technique. When leaving or returning home, the owner should not acknowledge the dog. This includes any type of physical or eye contact. After a few minutes, the owner may gently acknowledge the dog. Most importantly, a dog should never feel trapped or abandoned after the owner leaves. Putting the dog in a designated room when being left alone can be effective, as long as the dog doesn’t associate that room with being left alone. Setting out laundry, blankets, or bedding with a familiar scent may be beneficial in helping the dog adapt to the room it is being left in. A room with a baby gate, windows, and open space will also help the dog feel less confined in the environment. Leaving the dog alone for different amounts of time can also be effective. Leaving the house regularly for anywhere from one to 20 minutes multiple times throughout the day can help your dog acclimate to an empty residence. Another popular method of anxiety reduction is to regularly perform actions throughout the day that may trigger the dog’s anxiety such as grabbing keys, opening or shutting doors, or starting the car. Performing these actions routinely, even when the owner is not leaving the house, may help the dog overcome some of the anxiety these triggers produce. Daily training will most likely be necessary until the dog builds enough confidence to be left alone without worry. During training, it may be beneficial to hire take the dog to a daycare or to hire a dog sitter so it is not alone for extended periods of time throughout the day. If you are having trouble dealing with your dog’s separation anxiety, never hesitate to contact a board-certified veterinary behaviorist or your current veterinarian. Always remember that the dog is not being disobedient. The dog is in distress, and any kind of punishment for its behaviors would be counterproductive and could make the symptoms the dog is displaying even worse. Other actions such as crating or getting another dog could also lead to worsening symptoms. Are there products you can buy to help? Although training is the most effective method to reducing or extinguishing a dog’s separation anxiety, there are many products that can help ease the process. Some of the most helpful products are those that are designed to keep the dog’s time occupied while the owner is away. Some options are toys that dispense treats at random intervals, as well as treats that are time-consuming to chew. Stuffing a KONG toy with anything from frozen bananas to peanut butter is an effective way to occupy the dog’s time. There are also sensory products available such as snug shirts to help comfort the dog while the owner is away. If the anxiety is severe, a board-certified veterinary behaviorist or veterinarian may recommend that the dog be given medication to help ease its symptoms. Anti-anxiety medication may even relieve the dog’s symptoms without the need for additional behavioral therapy.